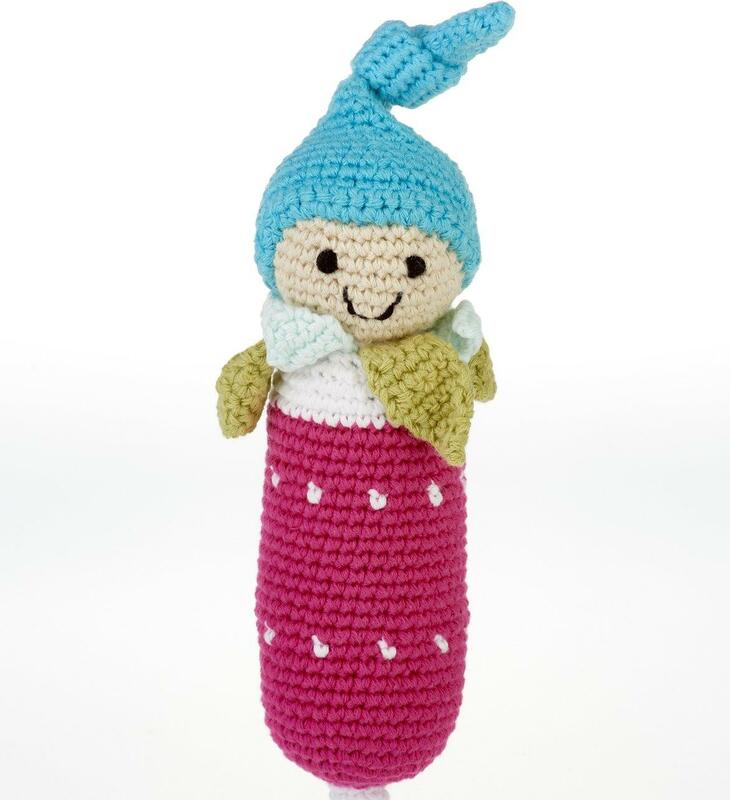 Fair trade handmade baby radish rattle from Pebble toys. This crochet vegetable toy is suitable from birth and machine washable. This makes an ideal first baby rattle for a newborn baby but can also be used later as a baby play kitchen toy as your baby begins to develop imaginative play.